NIGERIA – Dangote, Flour Mills of Nigeria and other stakeholders in the milling industry have donated 50 units AMAR multi-crop threshers to wheat farmers to boost wheat production in the country. According to the Guardian Nigeria, this aims at improving grain production for Nigeria estimated at about 16.3 million tons for wheat, rice, corn and sorghum in the year 2018/19. Wheat consumption in Nigeria is on an upward trend, the increase attributed to higher prices of other major locally grown crops. The General Managing Director, Dangote Flour Mill Plc., Thabo Mabe, prioritising on breeding quality would suit the specification for confectionary purposes like bread or spaghetti. He added that by using the threshers, wheat output would be doubled reducing the current 4.5million metric tonnes importation of wheat. According to him, 70% of wheat used by flour millers is imported despite huge potential in the country’s wheat sector, adding that the multi-crop threshers would enhance yield, empower more farmers and save foreign exchange. “The current unsustainable ways of threshing are the reason why majority of the wheat in the country is imported. We are trying to drive Nigeria to self-sustainability since we have huge arable land that can be used for the benefit of the country,” added Thabo. The Nigerian government in collaboration with other stakeholders have embarked on initiative targeting to the production of four major commodities; cassava, maize, rice, and wheat. The federal government indicated that a viable solution to their country’s growing dependence on wheat imports is domestic production, something that could be ensured through improved varieties of high-yielding, heat-tolerant wheat. John Coumantaros, the chairman, Flour Milling Association of Nigeria (FMAN) said that the initiative would effectively accelerate the government’s drive at attaining internal sufficiency in wheat production while saving foreign exchange. 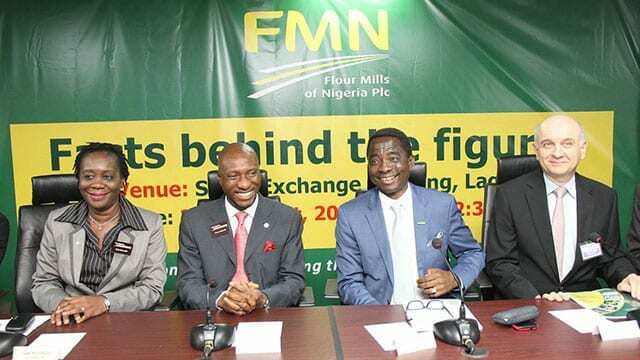 To promote wheat production, flour millers including Dangote Group, Flour Mills of Nigeria (FMN), Honeywell, Olam, Dufil signed a pact with wheat farmers, with a guarantee to purchase all their wheat. The donation builds on this partnership with wheat farmers by improving wheat yields, with a goal to reach self-sufficiency in wheat production in Nigeria.